Learn how to make a unique kaddu recipe, khatta metha kaddu. This kaddu vegetable goes great with puris/pooris, rice and even paratha. 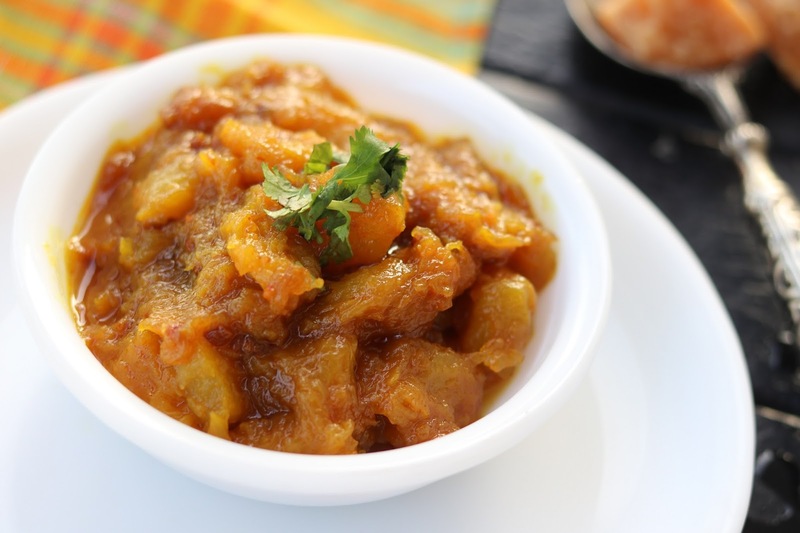 This is tasty pumpkin masala recipe. 1. Heat 1 tbsp mustard oil in a kadai, splutter fenugreek seeds. Add pumpkin pcs along with all spices. Mix well and cook on medium flame till pumpkin becomes soft. 2. Once soft add tamarind puree along with jaggery pcs. Mix well and cook on medium to high flame for 5 min till everything combines well. 3. Garnish with fresh coriander leaves. Serve khatta meetha petha with poori, paratha or even rice.